That article was very good. I could read it without cursing under my breath several times! Most of the racism and conspiracy theories help him by marginalising any opposition. His progressive and Keynesian views come from him radical late mother, his anti-semitic pastor, and Ivy League Education, plus his pre-legislative profession would draw him more left, and for an epithet, Chicago politician. MJE had a great speaker talk about Obama largely being contra-Bush regarding the Middle East. The real question is: what is President Obama's motive? Is he trying to freeze foreign aid to Israel (that gives us a much better return than any other foreign aid ventures), or simply thinking he can make nice with the Non-Aligned Movement in the UN? 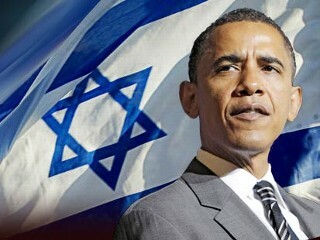 Going after Jerusalem galvanizes Israel to Netanyahu and maybe Obama knows this. I'd say Israel should move her Embassy to NYC as a response to America setting up her Embassy in Tel Aviv. The rest of the world could follow suit as the NYC Consular buildings can be converted into Embassies. I hope that in your mini vacation to Oxnard, you are going up to Baron Herzog. What else is there in Oxnard? Baron Herzog has an excellent fleishigs restaurant, and my friend works in a different area of the place (not the restaurant). Enjoy!